National Museum of Ireland – Archaeology is national repository for all archaeological objects found in Ireland and home to over two million artefacts. Centrally located on Kildare Street, next door to Leinster House (Government Buildings) and Merrion Square. 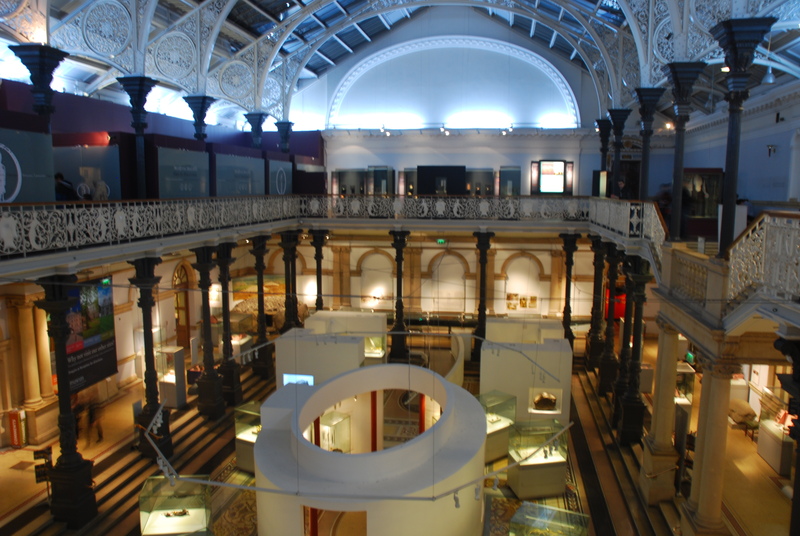 The National Museum of Ireland was founded under the Dublin Science and Art Museum Act of 1877. Previously, the Museum’s collections had been divided between Leinster House, originally the headquarters of the Royal Dublin Society, and the Natural History Museum in Merrion Street, built as an extension to Leinster House in 1856 – 1857. Under the Act, the government purchased the museum buildings and collections. To provide storage and display space for the Leinster House collections, the government quickly implemented plans to construct a new, custom-built museum on Kildare Street and on 29 August 1890, the new museum opened its doors to the public. Our exhibitions include the finest collection of prehistoric gold artefacts in western Europe, outstanding examples of metalwork from the Celtic Iron Age and the Museum’s world-renowned collection of medieval ecclesiastical objects and jewellery. The Irish archaeological collections include The Treasury, featuring outstanding examples of Celtic and Medieval art such as the famous Ardagh Chalice, the Tara Brooch and the Derrynaflan Hoard. Within the exhibition the second gallery is devoted to an early medieval Book of Psalms known as the Faddan More Psalter. This manuscript, which dates to approximately AD 800, was discovered by chance in a Co. Tipperary bog in 2006. Ór-Ireland’s Gold features the finest collection of prehistoric gold artefacts in Europe, while Prehistoric Ireland introduces the visitor to the everyday culture of prehistory. Viking Age Ireland focuses on Irish archaeology from 800-1200 AD. Medieval Ireland 1150–1550 explores life in later medieval Ireland: meet the nobles who go to war, the common people who work and the clergy who pray in galleries entitled ‘Power’, ‘Work’ and ‘Prayer’. The building is also home to the exhibition Ancient Egypt, which explores this mysterious and multi-faceted civilisation. Kingship & Sacrifice is a fascinating exhibition centred on a number of recently-found bog bodies of Iron Age date. Displayed along with other bog finds from the Museum’s collections, it offers you an opportunity to come ‘face to face’ with your ancient ancestors.